SECURE YOUR WEBSITE WITH RELIABLE SSL CERTIFICATES!! What Is Metadata, And Why Is It Important? Today, we’re going to talk about metadata. 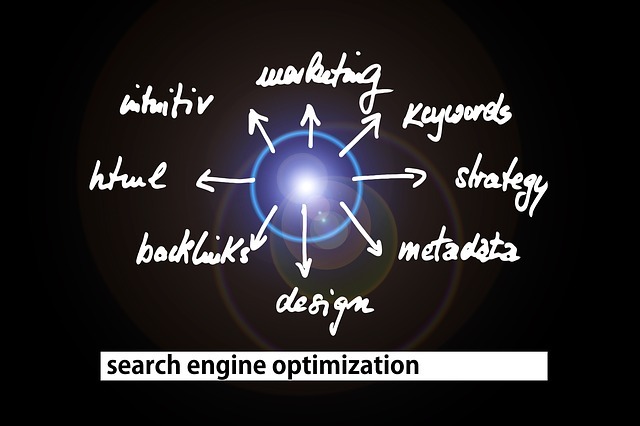 As you might already be aware, it’s basically the cornerstone of search engine optimization. Keywords and content aside, properly-optimized metadata is critical to your ranking efforts. But what is it, exactly? In broad strokes, it’s intended to summarize content or describe elements on a webpage for the sake of search engine robots. It comes in a few distinctive flavors. Meta description. A brief explanation of a page’s content that occasionally appears on the Search Engine Results Page. Although meta descriptions aren’t likely used as a ranking factor,they can drive traffic to your page – they’re the first impression most users will have of it. Keywords. We’re only mentioning keywords here to say that they’re no longer used as a ranking factor by any search engine. It’s a field you shouldn’t bother filling out – instead, focus on working the keywords you want to target into the copy of your page. Title tags. By far the most important piece of metadata you’ll manage, title tags are essential to both your site’s rank and the experience it offers to end-users. A good title tag features the keyword or keyphrase for its page and gives users an idea of exactly what to expect if they click through. Header tags. Header tags are used to break up long-form content into more easily-digestible chunks. They’re more for usability and readability than SEO, though you can insert the occasional keyword in all the same (just do so sparingly). Image tags. These HTML elements display images on a page by identifying the URL where each image is hosted. They’re not really important for SEO – but the alt text that goes with them is, as it provides a short text description of the image for both users and search engines. Canonical tags. These ensure that, for websites that typically feature highly-similar pages, one page is identified as the ‘master copy.’ They’re essential to avoid being penalized for duplicate content. Schema. A relatively new concept as SEO is concerned, schema markup is a little too complicated for us to get into today. It’s basically a data markup scheme designed to help search engines better contextualize the relationship between different concepts, pages, and websites. We’ll discuss it in a bit more depth at a later date. Higher visibility on the SERP. A better user experience. More accurate, effective indexing. These are just a few of the reasons metadata matters where your optimization efforts are concerned. The good news is that, aside from schema (which, as mentioned, we’ll examine in greater depth in a later post), metadata is actually quite simple once you understand how it works. At the end of the day, it’s really just a matter of entering the right information. Bear that in mind, and it’s really not so intimidating at all. Previous Previous post: How Do Internal Linking And Site Size Affect SEO? Next Next post: What Are Header And Title Tags, And Why Do They Matter? Why And When Should You Put Your Website In The Hands Of A Webmaster? Web Hosting For Students – Is It Worth It?